While Sole Meunière is not the prettiest dish on earth, it’s my all time favorite. If it’s on the menu (which it usually is not), I’m ordering it. In my old days of traveling to New York City, I would seek out little French cafes that never failed to serve liver and onions and Sole Meunière . These dishes were a special comfort food for me, especially the fish. It almost always came with green beans (haricot vert, a little longer and thinner than the American green bean) and even though I was consuming a ton of butter, I felt healthy, happy, and satisfied. This is such an easy dish to make at home, and as I write to you, I wonder why I don’t make this all the time. I think I have a thing about making fish inside the house, because I don’t have a good exhaust fan, which I’m thinking of putting in during our kitchen remodel. (By the way, stay tuned for our kitchen remodel saga, coming soon and a good reason to subscribe). Julia Child described her first experience with Sole Meunière as one of the most exciting dishes of her life. I completely understand such a blown up statement because I felt the very same way. The first thing you need to do is not be afraid of butter. Love it and clarify it. 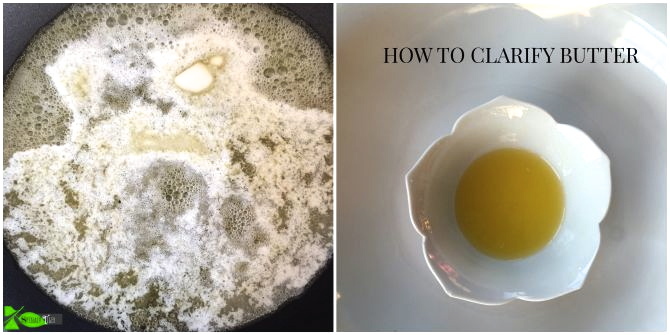 Clarified butter is butter than has been heated and the foam removed, reducing it by about 25%. It is used when a dish calls for butter to be cooked over a high heat and the first thing to prepare when getting ready to make this dish. If you can’t find nice filet of sole, you can use an alternative such as flounder or another favorite, rainbow trout. If you can find spotted trout, all the better; it reminds me of lobster. 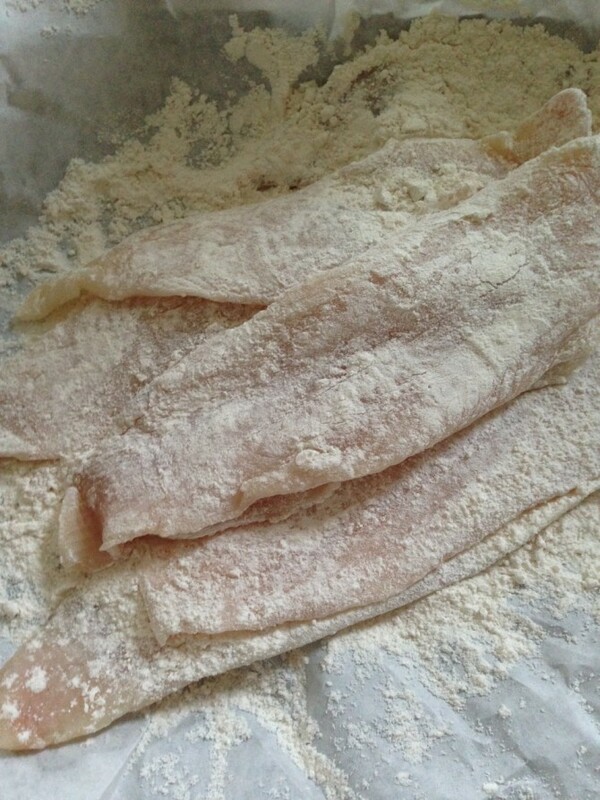 It’s not quite the same texture as Dover Sole, but it will still be wonderful. So tell me, do love a lot of butter on your fish? What is your favorite way to prepare fish? 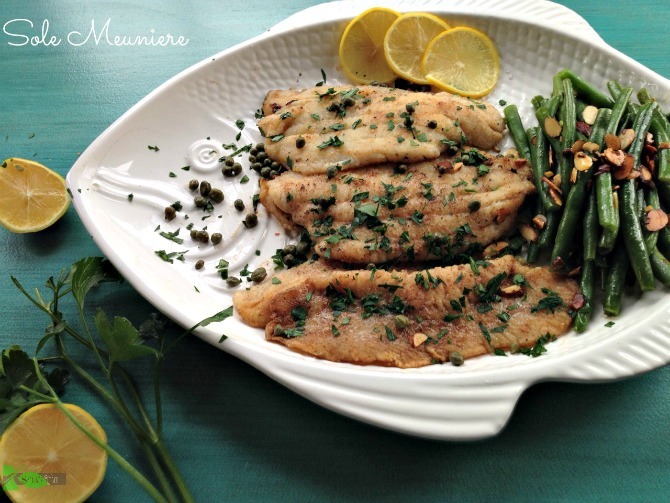 Sole Meuniere, classically French with lots of browned butter and lemon. Melt 1 tablespoon of the butter. Brown each filet about 3 minutes on each side, depending on thickness. Transfer the fish to a platter and tent with foil. Add the remaining butter to pan and turn up the heat to medium-high. Brown butter until it turns golden and add lemon juice. Pour the butter over the fish and serve immediately. Sprinkle with parsley. Heat butter over very low heat until all the foam rises to top. Skim off foam, strain through mesh strainer or cheesecloth. You will probably end up with about 4 tablespoons. Sometimes the simplest recipes are the best. That’s why I love cooking Italian — it relies on good quality ingredients and freshness. There is just something about using honest to goodness butter in a recipe that you can’t substitute. I love browning butter — the flavor is so nutty. My hubby loves to fish and there is some sea trout in the freezer that has this recipe written all over them. Thank you for sharing. Buona giornata! You’re very welcome and yes that’s why I like to cook Italian too.